You can change your job title overnight, but redefining your identity is a process. Whenever people ask me about my relationship with baseball, I always describe it as my first love. I specifically remember my first season of Little League baseball in 1996. My dad took me to tryouts which consisted of me swinging and missing on three straight pitches from the pitching machine. It didn’t matter though. Once I was placed on the Tierrasanta Royals I quickly found myself sucked into the game’s situations and tactical nuances. I was absolutely hooked. 1996 was also a great time to be a baseball fan in San Diego. With players like Tony Gwynn, Steve Finley, Trevor Hoffman and NL MVP, Ken Caminiti, the Padres were relevant. The city was swept up with excitement as the team headed to Los Angeles to face the Dodgers for the final three games of the season. Two games back in the standings, it took a dramatic road sweep to lock up the team’s first NL Western Division title in 12 years. Timing is everything and 1996 was a perfect storm of events that got me started on my baseball journey. My relationship with baseball first became tenuous in 2002, when I was 14 years old. I was pitching for a local winter ball team and things were not going well. I was playing just fine, but I wasn’t having any fun. I regularly saw myself get passed up for playing opportunities and I was not receiving support or investment from my coach to help cultivate my talent. 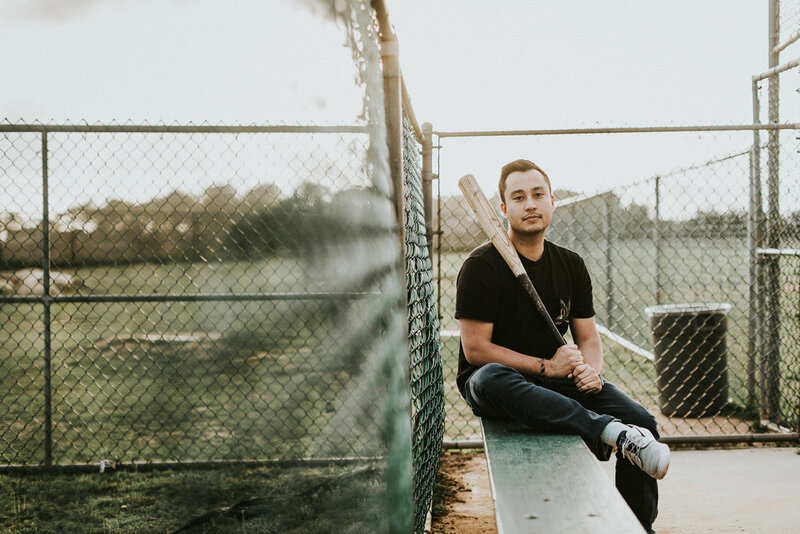 Baseball changed from something that was fun to something that was a political battle with my coach and the other players and I wasn’t into it. I vividly remember one of our practices when the coach asked for someone to pitch an inning of a simulated game. After pestering the coach long enough, he reluctantly agreed to let me pitch. I toed the rubber and proceed to strike out the side on 12 efficient pitches. Despite evidence, my coach offered no praise or acknowledgement even through everyone else around me knew exactly what happened. Around the same time, I took up the sport of water polo with the Sunset Club based out of UCSD. I was immediately welcomed with open arms, and for the first time in a while I felt included. I felt like I was wanted and that my coaches believed in me. So entering my freshman year at Torrey Pines High School, I forced a change upon myself and I walked away from baseball, the game I loved, for a new opportunity. It’s 2011. I just graduated from the University of Arizona with Bachelor’s degrees in Accounting and Marketing from the Eller College of Management. During my five-year (yes, five years) college career I continued playing water polo and I continued building my identity as a student. So when graduation approached, I was finally faced with finding a new identity. I had made it a goal of mine to be employed by graduation, but I hadn’t yet put in the proper effort to really target what exactly I wanted to do. Two weeks before graduation I lined up and accepted my first job as a Technical Recruiter with Aerotek staffing agency. It was the first offer I got and I eagerly accepted. It wasn’t part of any greater plan, other than just finding a job. So on the first Monday after graduation I strolled into Aerotek’s Tucson office with a suit and tie on and proceeded to place 50 phone calls a day for 8 months straight. I hated it. I would call my parents every day. I would get into fights with my girlfriend, who was still in school, constantly. I was gradually becoming a miserable human being. I was depressed. It wasn’t even that the job was bad. The job itself was a great opportunity. The pay was decent. I was learning how to network, how to sell myself and how to become a self-starter. The problem was, it wasn’t part of a bigger plan. There was no goal, no target to aim for. I had no purpose. This emotional downward spiral continued and eventually I hit rock bottom when I finally split with my girlfriend in October 2011. A week later I called in sick. I wasn’t actually sick, but I just could not face the day. I’m not exactly sure what triggered me to make my next move. Maybe it was that I already had emotionally sunk so low and there was no other option left, but when I finally dragged myself out of bed and opened the blinds, I set a goal for myself: I was going to find a way to work in the Marketing department of a Major League Baseball team. Despite my previous setbacks in baseball as a youth, I was going to make this happen. During my “sick day” I made a rule to myself: I was going to do one positive thing every day to get myself closer to my goal. This one positive thing was allowed to manifest itself in a job application, reaching out to someone on LinkedIn, improving my resume, anything. But I forced myself to do at least one thing every day. The first step was to make a plan. I had not participated in any sports marketing clubs or internships in college, so I had some ground to make up and needed to approach things differently. I knew there was absolutely no way that I was going to jump straight into a Major League marketing job, so I set my sights on Minor League Baseball. I sent emails, letters and LinkedIn requests to at least 30 Minor League teams before I finally heard back from the Gwinnett Braves, the AAA affiliate of the Atlanta Braves. They were hiring for entry-level ticket sales trainees for the 2012 season. I nailed my Skype interviews, flew to the Winter Meetings in Dallas to meet again and was offered a job that paid the federal minimum wage of $7.25/hour. Looking back, it seems absolutely crazy. In fact, my boss at Aerotek blatantly told me I was crazy. At the time though, I was willing to take a chance on anything that might make me happy. I packed up my car, drove to San Diego to see my family for the holidays and then in January 2012, I moved to Lawrenceville, GA in suburban Atlanta to start my new adventure. Someone recently told me that there is no tougher sales job than selling Minor League Baseball tickets. This is a very true statement, but at the time, it didn’t matter to me. I fully embraced the opportunity and I was once again smiling and dialing to hit my sales goals. I really look back on my Minor League experience with a lot of fond memories. In the minors, everybody’s job description includes “duties as assigned.” I loved this. I spent most of my time on the phone, but I did everything from helping the grounds crew, to picking up the players from the airport, to even being the batboy. I always felt that I made my most genuine connections with other front office members and athletes in the minors, because no one is there unless they absolutely love it. Life was good, but I hadn’t lost sight on my ultimate goal. I knew that to get to where I wanted to be, I needed to push myself forward. I continued reaching out and networking. I grasped onto any marketing-related project I could get my hands on and I made trips to Turner Field regularly to meet with the Major League staff. I spent my time down on the farm planting seeds around the baseball industry hoping it would pay off soon. Three LinkedIn messages later and I received a response from Nicole, the Marketing Director with the San Diego Padres. She was gracious enough to chat with me on the phone, indulging my curiosities and giving me her advice. It was a great conversation, but it was just that: a conversation. So I resumed my usual habits. 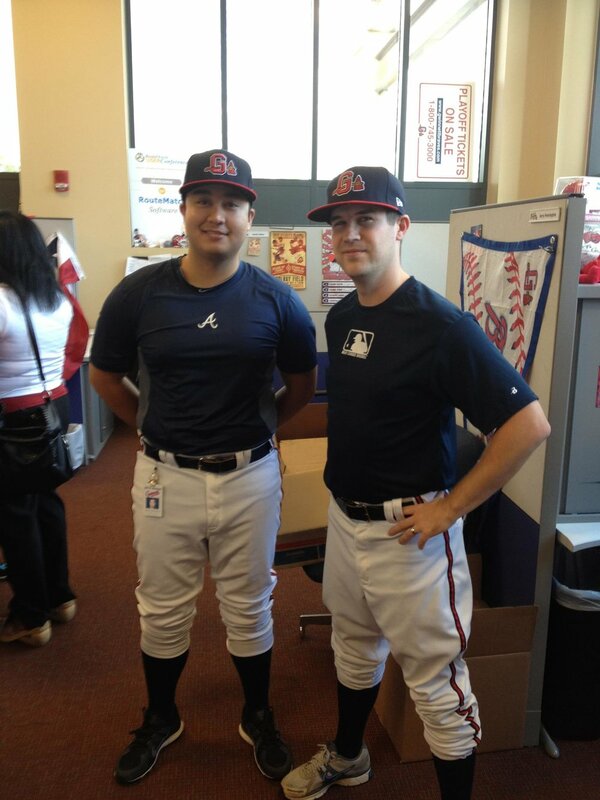 When Spring Training of 2013 arrived, I had just about accepted the fact that I was in for another season of AAA Braves baseball. Then I got an email from Nicole. Nicole had an open job for a seasonal Marketing Coordinator with Padres and asked that I apply to it. I eagerly did, and after interviewing with Padres HR and my future mentor, Harrison, I was packing up the car and moving back to the West Coast. Did I get lucky? Maybe a little. But I firmly believe that this achievement was a byproduct of the good habits I built up. On the farm, I was only concerned with actively contributing to progress. I made decisions every day to choose the more difficult right over the easier wrong. I didn’t directly set out to get a job with the Padres. It was an indirect result of all my daily habits. This is what I refer to as making your own luck. Coming home was a big deal to me. I absolutely could not believe that I was going to work for the San Diego Padres… in the marketing department, exactly where I wanted to be! I still had my challenges ahead. I was just signed on for the season, but I didn’t worry about that. I was confident that I could prove my worth and it would all work out come October. It wasn’t long before I learned an important lesson: sometimes in life, things completely out of your control happen and there is just nothing you can do about it. Like 1996, 2013 was all about timing, just not nearly as positive. Within a month, Nicole left the team. A month after that the CEO was let go. Then shortly after, the VP overseeing Marketing left too. The next thing I knew, I was working in a marketing department with no decision makers to prove myself to! New CEO -> Harrison -> Me. One might think having only one position separating me from the new CEO would be a good thing, but that wasn’t the case. None of my accomplishments mattered. It was made clear to me that I was not going to be promoted to full-time until a hire at the VP level was made. So on November 1, 2013, I was unemployed, suffering the first major setback of my career. I spent the first week of unemployment taking care of the practical things: applying for Obamacare, filing for unemployment benefits, and such. Through all this though, my ego was damaged. I had worked so hard and had built up my identity in baseball that I really felt empty and at a loss. I remembered this feeling before and knew that I had to get back to the fundamentals. Do one positive thing every day. That’s what I kept telling myself. Just like before. Just like in the minor leagues. I got back to my good habits and pushed forward with the networking both in and out of the Padres organization. I had to get back to filling the pipeline. I was eventually able to force a meeting with the new Chief Marketing Officer at the Padres. I have mixed feelings about how this first encounter went. Was it a good meeting? Sure. I absolutely feel that I presented myself as best as I could at the time. I stuck with the facts and tangible evidence of my prior successes. Did I feel it made a difference? Sort of. It seemed as if there was a pre-judgment made about me though. Since I was not part of the new regime coming in, not part of what I felt was an old boys club, I always felt that I had to go an extra mile further than others to get the proper recognition and treatment. Following the meeting, the Padres (other than Harrison and my other mentor, who like the new CEO, was named Mike) went radio-silent on me. I knew the new CMO was busy, but I never received any response from my follow-up messages about the status of the upcoming 2014 season. If getting the first meeting was hard, getting the second was impossible. Simultaneously, during these few month, I reconnected with another passion of mine: water polo. With suddenly a lot more time on my hands, I reached out to the new head coach at Torrey Pines high school and offered my volunteer coaching services. A lot of people would look at this and speak admirably about my time giving back to the community, but I really did it for selfish reasons: to keep myself from going crazy. I needed something else in my life to keep me occupied, to keep me distracted from thinking about unemployment 24/7. What I got from coaching was so much more than I could have ever hoped. Kids and parents constantly thank me for my time, but I honestly feel that they enrich my life 10 times more than what I put in. In late February, 2014, after four months of unemployment, I had just about given up on the Padres when Harrison gave me a phone call. I remember this short conversation very clearly. It seemed as though my persistence finally paid off, although a part of me always will feel that my return was triggered –frankly - by a lack of preparation by Padres leadership. 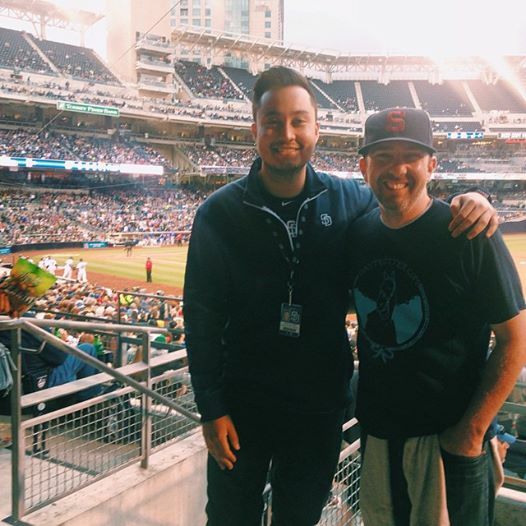 They needed someone to run the Jr. Padres program and they needed someone to help facilitate the launch of Compadres, the rebooted fan loyalty program. Since they hadn’t brought me back to work sooner or even interviewed other candidates, I interpreted that they didn’t give this area of the business the attention it deserved. No matter. I saw it as an opportunity and I was going to make the best of it. 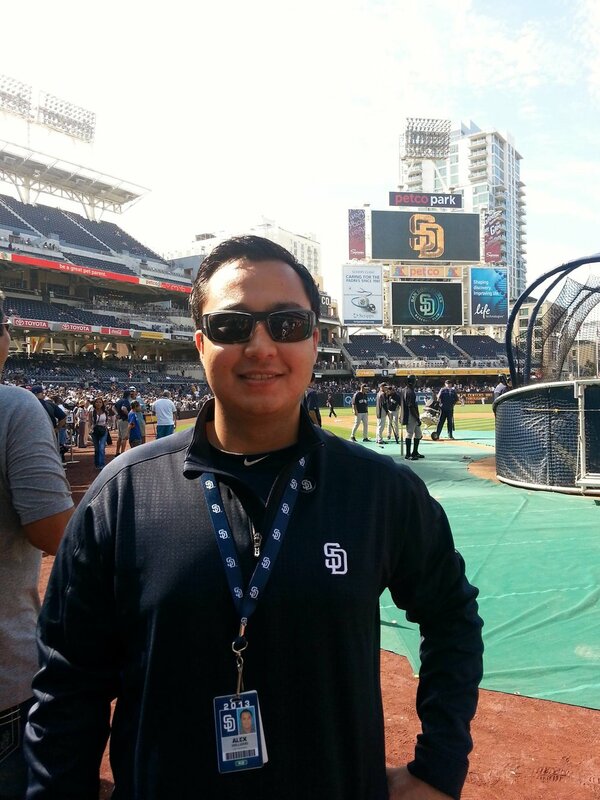 2014: year two with the Padres was all about securing my job status. Everything I did was all with the purpose of building my case to become a permanent employee. I was confident, but I quickly learned that 2014 was going to be the one of the hardest years of my life. At the start of the 2014 season, I was reporting to Mike, the Manager of Membership programs. Mike and I clicked immediately and we were underway installing a new technology infrastructure for digital ticketing, e-cash and loyalty points – all within a very short time-frame. We operated rather autonomously without much feedback from management. I had concerns with the lack of leadership, but at the very least I was enjoying going to work for someone I truly respected. It wasn’t long when my whole world changed again. The team hired a new supervisor for me and Mike and right away I realized that things were going to get worse before they got better. Mike was growing unhappy with his continuously changing role and after over 12 loyal years to the Padres, he left for a better opportunity. It’s really amazing the difference a good supervisor can have on your daily happiness and I still miss what Mike and I had together. With Mike no longer with the team, I was essentially doing two jobs without the compensation to go with it. I kept getting told that the promotion was mine to lose, although I knew in my heart that I had already produced the proof that it should have been mine immediately. In hindsight, maybe the best thing to do would have been to move on then. However, I was still so committed to achieving my goal that I endured and honored the process. I managed through several more months of adversity and eventually in November 2014 I was finally promoted to full time. Did I achieve the desired end result? Yes, but it took absolutely everything I had and I missed out on 6 months of appropriate compensation and benefits. Furthermore, there was resentment created that no matter how hard I tried, I couldn’t completely let go of. In my heart, I wanted my relationship with leadership to be great, but maybe there was just too much that happened between us. 2015, my third and final season with the Padres moved along, but it was exhausting. After all the drama, I was still a one-man team and struggling to keep up with the workload. There were minor incidents of friction with my supervisor, but overall things were not as tumultuous. I was doing my best to make things work out, but ultimately, I wasn’t as happy as I should have been. I think the heavy workload and the daily battle with the work culture was taking its toll on me. To help counterbalance my life, I picked up photography as a hobby. If you’ve been following my blog or Instagram, then you already know how this hobby as quickly escalated. I consider it now to be an important part of my identity. One of my favorite landscape shots from 2015. Even with a new hobby, by the time the season finished in October, 2015, I was exhausted. I was grateful that the season was over and grateful water polo season was beginning again. I was entering my third year with Torrey Pines and my first as the head coach of the girls program. We had a great group of kids, parents and faculty support and the 2015/2016 season is by far my favorite water polo experience ever. There were just so many good people involved and I was getting so much fulfillment from being at the pool every night working with the kids. It was during a bus ride on our way to one of our games when, for a moment, I thought to myself, "I care more about winning a high school water polo championship than I do the World Series." My career in baseball was already wearing on me, but this was one of the first times I realized that my priorities in life were shifting. Instead of thinking of my goals in baseball terms, I began thinking of my goals in terms of skill sets, coaching, human interaction and influencing lives. s I was entertaining these new ideas, one of my technology vendors of the Padres invited me to London, expenses paid, to present on some of my findings from the Compadres and Jr. Padres programs. I was pumped. I saw this as an incredible growth opportunity and was really excited to attend. I was stunned when my supervisor denied my proposal to attend on the grounds that my two days away from the office (in December) could be better spent on other matters. After all the late nights, weekends and holidays that I spent at the ballpark working, my supervisor denied my request, saying that it would not be a good use of my time. I felt this was one of those moments where I couldn't take no for an answer. I resubmitted my proposal and requested a decision be made by a deadline set by our technology partner. The deadline was ignored. So without approval, I accepted the invitation and the good folks in London booked my ticket. Sometimes you have to be willing to take a chance and rock the boat a little. A weekend later my supervisor had a sudden change of heart and said I could go. This was convenient for me in the sense that I never had to explain that I already accepted the invitation, but I was disappointed in the lack of respect for the deadline and dealing with the constant battles and obstructions to my growth. I packed my bags, got on the plane and flew across the world to London. I did a lot of reflecting on that 10-hour flight. I thought about my future with Padres and without. I thought about wanting to do more photography and coaching. I thought about where baseball was in my priorities. I thought about what it would take to be happy. Sleep on it. Three words that I live by to keep me from taking brash actions. It’s also one of the best pieces of advice that I can offer anyone. There’s a lot of adversity you encounter in life and often it’s really easy to follow your first impulse. Whenever I get this feeling, I always tell myself to cool off and sleep on it for at least a day, but sometimes longer. In this case, I slept on my decision to leave the Padres and baseball for three months. Every part of me wanted to stroll into work one morning and just announce, “I quit!” However there’s a big difference from being risky, and being reckless. Waking up and abruptly quitting your job, is in my opinion, reckless. Unless you have a financial safety net it can be pretty irresponsible to yourself and in some cases the people around you. Risk, however, is a requirement for progress in life. You don’t move forward without taking risks. The big difference between the two is that risk requires calculation and preparation. Set a deadline. By spring training, 2016, I need to be elsewhere. Play it close to the vest. Your employer can’t retaliate against you and I don’t normally like to keep things secret from friends, but from my experience, it’s best to keep this sort of thing to a very small circle. Evaluate your priorities and goals. Decide what matters most and aggressively pursue it. Cast a wide net. Stay open minded and widen the job search. You never know who may surprise you and it’s always good to have options. Be fearless. Change is hard, but getting out of your comfort zone and embracing new challenges is the only way to grow. For four straight years, I dedicated everything to achieving my goal of working in Major League Baseball. I set a goal, and I accomplished it. But as you’ve read in this story, reaching your goal does not guarantee success or happiness. With each additional year I spent in baseball, I was beginning to reject my identity and create a new one. 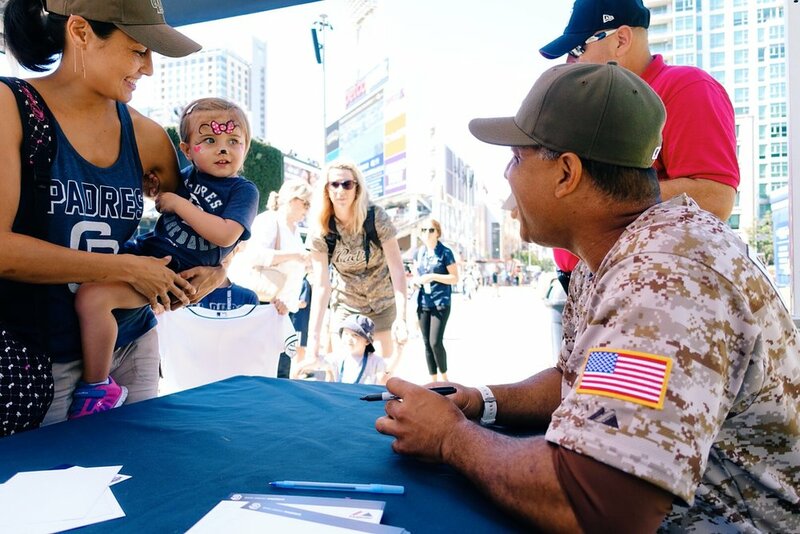 Every time I would run into an old friend or get introduced to someone new, inevitably people would attach my identity to the “Padres guy.” I don’t want this to sound like I was ungrateful for the opportunity I had in baseball, but there’s so much more to me than that. I’m a marketer, coach, photographer, entrepreneur and more. I expanded my job search to all kinds of industries. I interviewed with clothing companies, marketing agencies, tech startups and manufacturing companies. 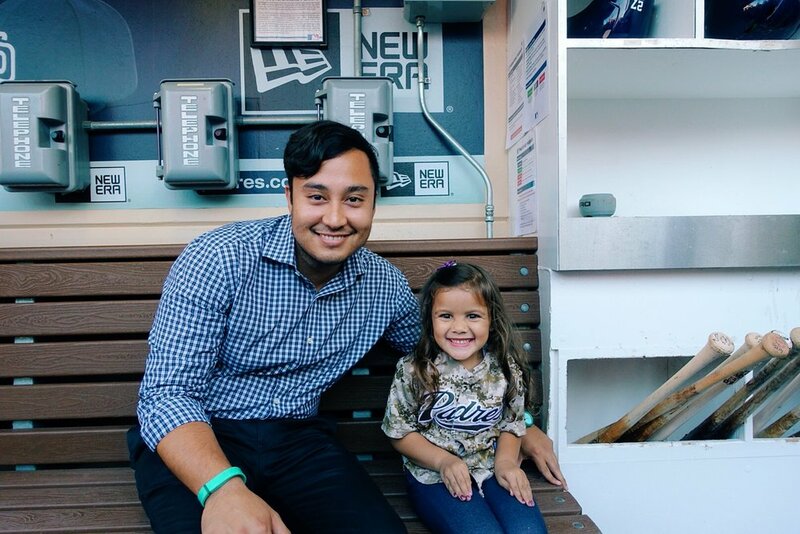 I learned a lot from the new exposure, but I was struggling with balancing my job search and maintaining my professional responsibilities with the Padres. I was not going to be able to prioritize my job search if I got sucked into another baseball season. Can I expect to land a new job soon? If I’m going to quit without having the next job lined up, I need to have a plan for my finances. I decided that consideration #1 was non-negotiable: I had to leave. For consideration #2, I felt I had enough applications in the pipeline to reasonably expect something to materialize. For finances, I picked up another water polo coaching job with San Diego Shores to tie me over and opened myself up for freelance photography. Combined with the income I was already getting from coaching at Torrey Pines, I felt that I was ready to make my move. Was this risky? Very. But it was calculated, thought-out and ultimately the only option remaining. So on February 22, 2016 I walked into Petco Park in San Diego, CA and put in my notice. On March 4, 2016, for the second time in my life, I walked away from the game I love. Four months later, it is now summer 2016 and baseball season is in full swing. I’ve barely watched any games. By day, I work in marketing at a new company in San Marcos and during the other hours I am passionately pursuing water polo coaching and photography. I’m really excited to be able to take an 18-and-under girls team to Junior Olympics this summer. The photography has taken off too. I started this blog and am getting to create some meaningful work and embrace more entrepreneurial spirit. I haven’t been avoiding baseball or the Padres, but I have made a strong commitment to turning the page and focusing on my new careers. I enjoy baseball still and I will always love the game, but my life mission has changed. Late nights watching major leaguers record the final out have been replaced with early mornings helping aspiring student athletes chase their dreams. Although things have been going great, I still don’t have everything figured out. You can change your job title overnight, but redefining your identity is a process. At my new job, keeping with industry veterans is like trying to catch up to a 99 mph fastball, working with all the different personalities when coaching is like trying to pick up a curveball and taking the perfect photograph is like painting the outside corner. Change is hard. Like, really hard. You have to say goodbye to familiar surroundings. You have to say goodbye to people you care about. You have to say goodbye to your comfort zone. Change is risky and full of unknown, but if you’re afraid to make a change you risk getting stuck. There will be days you triumph. There will be days you hurt. It’s a process. Embrace it.